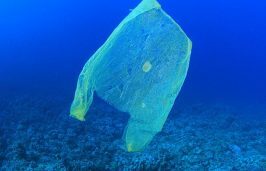 State legislators’ efforts to repeal a longstanding ban on single-use plastic bags on the Outer Banks have sparked anger among residents and business owners. 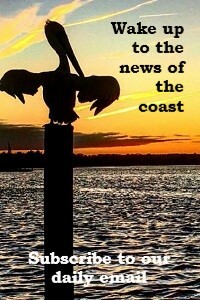 The Senate and House are finalizing a set of regulatory bills that include provisions to loosen coastal environmental regulations. After years of continually shrinking budgets, Gov. 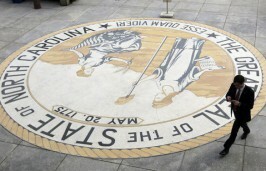 Roy Cooper’s spending plan breathes new life into key programs for water quality and parks. 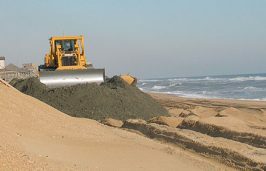 State lawmakers are considering ideas for ways to pay for beach re-nourishment and proposing relaxed standards for offshore sources of sand and the placement of sandbag walls. A three-judge panel on Wednesday issued a temporary restraining order blocking the Legislature’s confirmation process for Gov. Roy Cooper’s cabinet appointees. 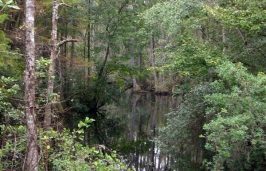 Studies on oyster farming and hurricane resiliency are among first batch of research projects the new North Carolina Public Policy Collaboratory at UNC-Chapel Hill is set to begin. 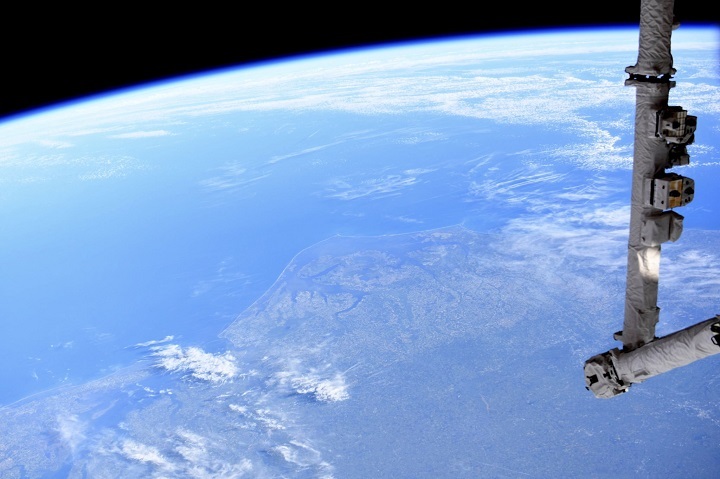 Who’s Trying to Kill Amazon’s Wind Farm? 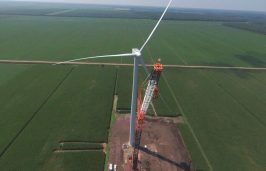 Community officials in northeastern North Carolina are excited about the economic potential of the nearly operational wind farm here that a group of legislators are trying to scuttle. 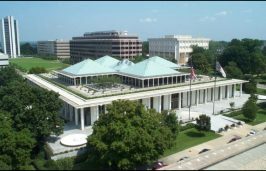 As the 2017 session of the General Assembly begins, the House and the Senate remain divided on key environmental issues, many left over from last year, including a continued fight against renewable energy projects. 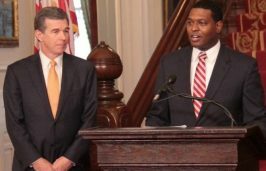 A coastal legislator and conservative groups have hinted at the confirmation battle that may be ahead in the Senate, leveling criticism at Michael Regan, Gov. Roy Cooper’s pick for environmental secretary. State lawmakers held two special sessions last week, unanimously approving disaster relief in one and enacting controversial limits on the incoming governor’s authority and sparking protests in the other. 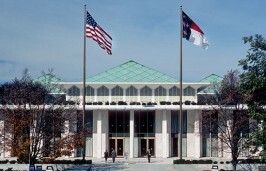 Leaders in the General Assembly decided to keep going Wednesday after approving a disaster recovery bill, calling another session for measures aimed at diminishing the incoming governor’s powers and loosening environmental rules. 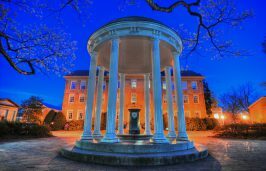 UNC-Chapel Hill officials have appointed seven scientists and policy experts as advisers to the N.C. Policy Collaboratory, as university faculty continue to scrutinize how the legislature’s creation will operate.